Hello Beauties!!! Earlier this week, fellow blogger Venessia of Style4Curves rocked an awesome look wearing a top that I own too!!!! So I immediately contacted her to submit some photos of me rocking the same top, 2 different ways. This top was purchased from ASOS earlier in the Spring and of course it is no longer available. I am loving anything leopard and this top was definitely no exception!!! Trying to drum up other ways to rock this top again....Open for suggestions???? 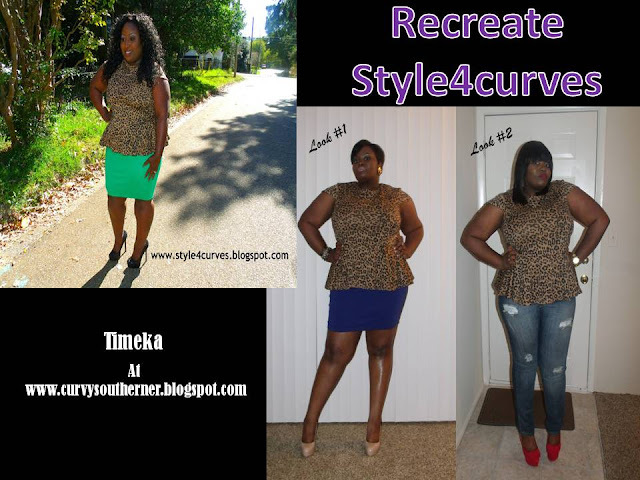 Be sure to check me out at Style4Curves. Honey you did that! I'm the same way! I'm in love with anything animal print these days, especially shoes! Yesss! Both of you ladies worked that leopard peplum top! I need that in my life! You did this... I'm loving anything Peplum & Leopard! You ladies both ROCK!!!! Yes! I love both looks especially the jeans and red! You rocked the hell out that top!! I love it both ways, to FLY!! Thanks for stopping by and feel free to leave your thoughts. 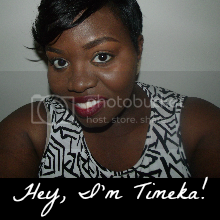 Curvy Southerner is the owner of all things associated with this blog unless stated otherwise. Simple theme. Powered by Blogger.